My professional path – copywriting – somehow intertwines with my unprofessional (hahaha) path – writing so I would recommend reading literature for both. Somehow reading and writing are two ways of doing the same thing: storytelling (even when you read you tell yourself a story in your own voice, bringing your personal emotion and empathy to the story you’re reading). The only difference is that when I’m reading, panic is far away from me, in a safe place. 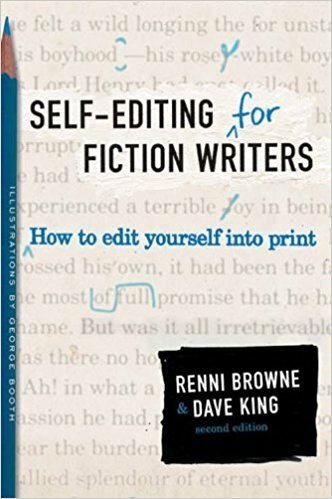 Nevertheless, the words below helped me rewrite and think twice before adding an exclamation point: Self-editing for Fiction Writers.